Unlocking smartphones can be a tedious affair at the best of times, so top bods at Google have set about cleaning up the process. 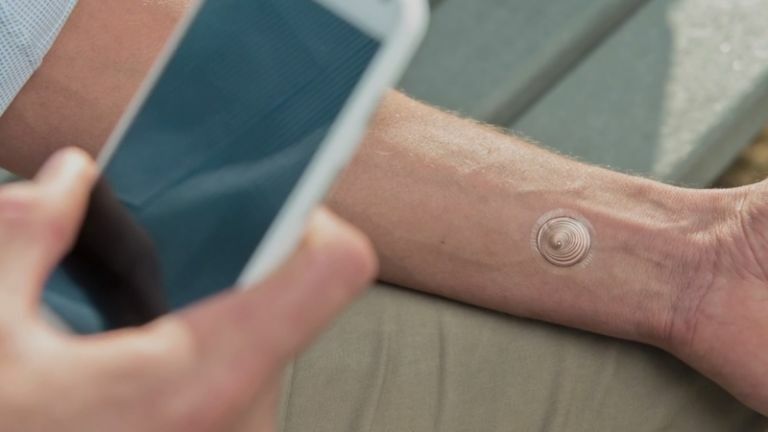 Google's Motorola and tech firm Vivalnk have partnered up to create the 'digital tattoo' - a thin electronic film that sticks to your wrist allowing you to unlock your phone, all through the magic of NFC. The tattoos are now available in the US for $9.99, which equates to just under £6, but it's only good for the Moto X right now. "In the last 40 years, we have not changed how we unlock our devices, even though their usage has significantly increased," says Deepak Chandra, Project Leader at ATAP, Google. Apparently the average user unlocks their phones 39 times a day, with each unlock pilfering 2.3 seconds of our valuable earth time. In fact, it's so cumbersome that 50% of users don't even lock their phones, leaving them vulnerable to all manner of data-nicking. "So we started working on making it easier for people to unlock their phones. Your phone is personal to you, so how you access it should be personalised to your style." Each digital tattoo will last for five days and is completely waterproof, so you're safe to go for a dip, embrace British drizzle, or even swim across the channel to show off your gear in France. "We worked very closely with the top designers in the world to make a tattoo that looks beautiful and is easy to use," says Junfeng Mei, VP of technology at Vivalnk. "No fumbling, no typing, just tap."